You already know how versatile a flux core welder is. You also know that finding the right one for you can be a tough task. Choosing the first one you come across is definitely not your style. You want to know which one is the best one for your needs. But scouring the internet for tools like this is quite unconventional. You cannot just try one out online. Plus, it’s not just about the money; it’s about what you get for your investment. Of course, there are more flux core welder reviews out there than you can shake a welding rod at. No worries – we can and we have tried some out. We now present you with in-depth reviews of the 5 winners of our tests. Hopefully, this will make it easier for you to make a wise decision, choosing the best value for your needs. 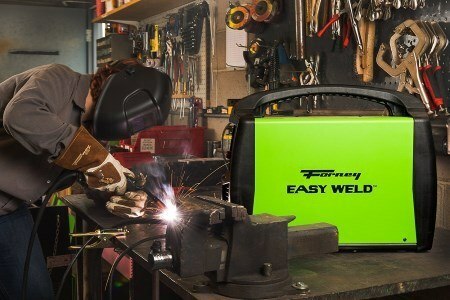 Even though it’s referred to as the “beginner’s welder” the Forney Easy Weld 299 claimed the title for the best flux core wire welder. It turned out to be the most versatile, user-friendly and best performer, making it the best value for the cost. Speaking of cost, of the 5 welders we reviewed this one was right in the middle – not too expensive, not too cheap. We feel that the Easy Weld provided the best overall value for that investment, making it well within the reach of most any budget. The Easy Weld is so easy to use that even a complete novice can operate it, making it ideal for hobbyists, DIY-ers, and anyone who has a desire to learn welding without a huge investment. What was most impressive about the Easy Weld was that, it could handle most any light- to medium-duty job. The welds themselves were uniform, clean and showed no contamination, minimizing the need to redo your welds. Of course, any product is as imperfect as the human beings who created it, but the pluses far outweighed the minuses on the Easy Weld, our pick for the best flux core wire welder. Our #2 spot goes to the Lotus MG140. Like our winner, it was easy to set up and use, and mostly performed well – to the extent the results matched what was outlined in the directions. The digital screens made it easy to read the settings. While this one was good, it did not turn out to be the best flux core wire welder. It could be summed up this way: When it works, it works really well. Manufacturer design seemed to be a bit flawed, confirmed by reports of other consumers. Handles breaking and performance issues, specifically with the feed mechanism, are just a couple of common problems with the welder. Of the 4 we reviewed here, it was also the highest priced welder. In many cases, it turned out to be more-than-twice as expensive. This was the primary reason it didn’t make the top spot. While it has both flux core and gas shield capability, considering the performance issues along with the high price tag, it was not the best value for the money. It’s been said that “you get what you pay for.” In other words, cheaper means junk. But is that the case with the Goplus MIG 130? While no machine is perfect, this one included, it does a lot of things well and puts light- to –medium-duty well within the reach of beginners, even on a very modest budget. With 4 different heat settings, you have control over your wire feed, as well as the power drain. Most welders do require the use of a 20-30 amp breaker to minimize or avoid blowing the circuit. So be advised to check your breakers to determine the best place to plug in your welder. Consumer perception is the only reason why this welder didn’t make #2. Assuming it did, consumers may have a hard time believing that it would do any better than a machine that is more than twice the price. All in all, the Goplus for the budget, for the DIY-er and the beginner, it is the best cheap flux core welder, making it a good value for the money, and for what it does. Be prepared to adjust outside of manufacturer’s instructions, such as wire size, settings, etc. However, unlike others, there was no wire included with the unit. We had to purchase it separately. Since most flux core welders perform best with .035” wire, we went with that. However, the welder was set up for .030” wire, so right off the bat, we had to change the set up. However, once we got it set up, it seemed to perform just about as good as other welders we reviewed, so it stood a chance of being higher up on the list. Other welders reviewed could alternate between gas shield and just flux core welding. But you cannot use gas with the Flex Core 125. With the price being in the middle ground, it didn’t turn out to be the best cheap flux core welder. For the same money, you can get a machine that welds with both flux core and gas shielding. Even a DIY-er or a beginner may encounter different welding scenarios that require either gas or flux core alone. If you only need flux core, it could work out for you. However, if your welding needs go beyond flux core, beginner or not, consider one of the other models. The one pro we found also turned out to be a con. By far, this is the worst model we reviewed. First, it came only with a sample spool of wire. That’s the same as having no wire. We use .035” wire because it performs better with most flux core welders. On top of that, we had to change the set up for the size. Once we set it up, it only performed nominally better than it would have with the .030” wire. Spatter is expected with flux core welders. However, this one put out more spatter than the others we reviewed, adding to the cleanup. If it had the capacity to switch to gas, welding could be done with less spattering. Finally, the one pro we found was that it was okay for small welds. This same pro was one of six cons we found. Other welders could handle up to medium-duty welding; this one did not. For the money, compared to other similar welders, this was the worst of the bunch. If you need a machine that does more than small welds, stay away from this one. There are better welders for the money. If you’re an old pro when it comes to welding, it may be relatively easy for you to pick out the right welder. However, more and more people, from hobbyists, DIY-ers, and beginners from all walks of life genuinely want to learn how to weld. Whether it’s for odd jobs or art, choosing a welder is a bit like learning a new language. But in this buying guide, we will “translate” for you. In our research, we’ve discovered information and tips that should be quite helpful to anyone who wants to have a welder at home, without the huge investment. What Makes A Good Flux Core Welder? As far as cost goes, it’s is about more than the price. It’s about what you get for the money you invest in the welder. As you probably read in our review above, there were welders that were extremely versatile and performed well that were less than half the cost of a unit that had a number of issues with it. Any manufacturer can slap a price on a product, and they might even “guarantee” it. But if the welder doesn’t perform consistently, is difficult for a beginner to use or isn’t put together well, then all they have is a guaranteed piece of junk. Who wants to throw their money away like that? You’re a beginner, and your budget may be limited to begin with. You could compare it to cutting lumber – you measure twice, and cut once. So think of your search for a good flux core welder in this manner: Evaluate twice (or more); spend once. If there’s anything that bugs a consumer more about a newly-bought product is to see parts fail or break during normal use. Sometimes manufacturers take shortcuts, even well-meant ones, in order to make the welder lighter or to add some dimension to its performance. But as it goes with shortcuts, they only fall short. A plastic housing might make it easier to carry, but will it stand up to normal wear-and-tear? A plastic tip may be intended to help smooth out a weld. But more often than not, consumers see it as unnecessary. The bottom line here is that a welder, even one that is used at home, should be tough enough to withstand normal use, and occasional heavy use. Just because a welder may be cheaper, doesn’t mean it has to be cheaply made. Even for the beginner, performance is important. Naturally, there will be a learning curve. Practicing before you tackle your actual job is wise advice. Still, the welder should do what the manufacturer says it’s supposed to do. Reports have been made on some products where they had to work with a certain gage of wire to get a good, consistent weld, which often work against the actual instructions. Others have to clean up their welds by filing them down once they’ve cooled. If a manufacturer states that their welder puts out a smooth, strong weld, then that’s exactly what you want to see when you use it. Spattering is expected, but there are ways to minimize this. One is to use a different setting. The other is to use gas shielding. However, some of these at-home welders use flux core wire welding only, with no capacity to use gas. 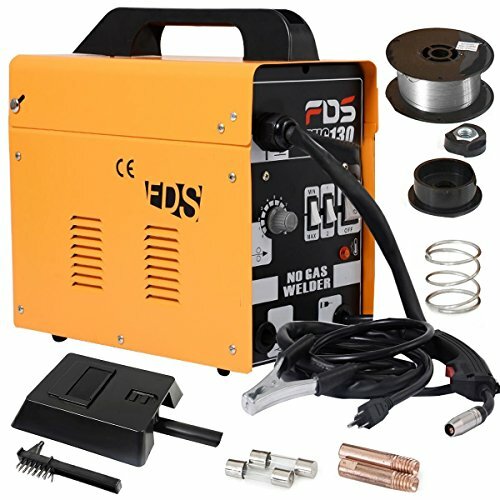 So a welder that has the ability to run with or without gas can be a great value. As we said earlier, it can be tough to figure how to choose a model that best suits your needs. But here are a few tips to help you. First of all, determine what your needs actually are. You may just need a machine that will help you repair things around the house, including certain metal areas of your car. So you want a unit that will put out consistent welds without too much concern for how they look. The welds may actually be hidden. Or, you may be doing some small welding jobs for money. In this case, the appearance of your welds may be more important. So you want to set it, weld with it, and you’re done. No matter which welder you choose, they all operate on at least 20 amps. So if you have to, have one installed where the welder will be used the most. Otherwise, you will blow your breakers quite often. Okay, we’re not talking dietary considerations. If you’re not worried about spatter, or you just need welds strong enough for light- to medium-duty jobs, then a welder that is strictly flux core may be enough for you. But if you need some higher-quality, consistent welds that minimize spatter, then buy a unit that can easily be switched from just flux core to gas shielding. One common complaint that came from many consumers beside us is the length of the cords and cables – or the lack thereof. Of course, the welders we’re talking about are portable. But that may not help you if you have to weld something on your car, and the cord won’t reach the plug in without an extension cord. Note: The use of an extension cord with a flux core welder could be dangerous, so we do not recommend it here. If you decide to use one, you do so at your own risk. So it wouldn’t hurt to check the machine’s cord and cable sizes, and compare to the distance you need to set up your machine. 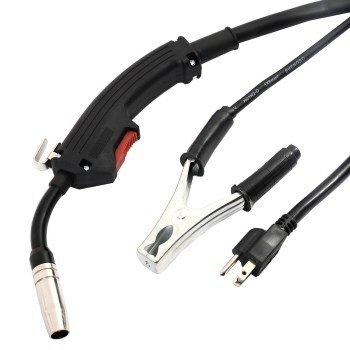 Generally speaking, if you plan to keep your welder in one spot and all your work will be done there, then the lengths of the cords and cables shouldn’t be an issue. If we were to recommend a brand, we would have to direct you to our review above. Your choice could come from among the top three. Ultimately, though, you will have to choose one that will fit your needs. If it turns out to be the one that flopped in our review, or any outside of the review, more power to you! Don’t automatically think that a higher-priced unit will actually do the job. Remember that the most expensive of the five welders we reviewed did not make our #1 spot. In fact, despite the fact that it provided both gas shield and flux core welding, it was more than twice the cost of the other 4. On the other hand, our #1 winner was purely a flux core welder. It performed the best of them all, had few quality issues, and was on the lower end of the price spectrum. So this goes along with what features you need in a flux core welder. If you know what you need, and you have a definite amount of money you’re willing to spend, then the choice will be much easier. Think about the value you’re getting for the price you’re paying. If the welder has the features that translate into the benefits you need, and you are comfortable with the price, then you’ve got a winner. 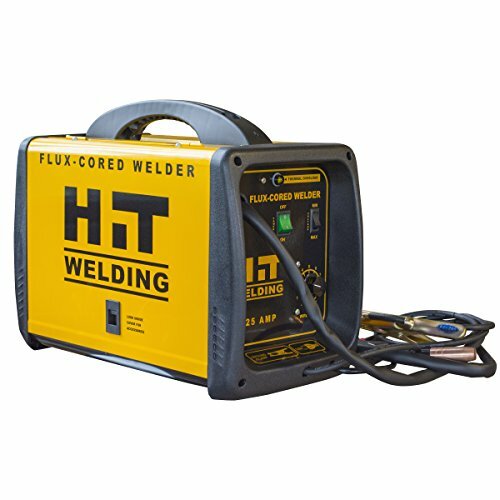 It seems counter-intuitive to buy a flux core welder online. Even a good quality picture can only go so far. You can’t touch the machine, let alone try it out. So on the one hand, buying online doesn’t seem like a good idea. But you can rely on authoritative reviews like ours. We’ve done the work for you to determine what we felt is the best welder for the money. And think about this – we’ve discovered that there are more satisfied customers who bought online than there were dissatisfied customers. From that perspective, you won’t go wrong buying online. However, even if you would rather buy in person, we have still done you a huge service. Based on our reviews, you can evaluate every machine, go to your local welding supply store and purchase any of the machines we’ve reviewed – at least the ones that didn’t flop, anyway! 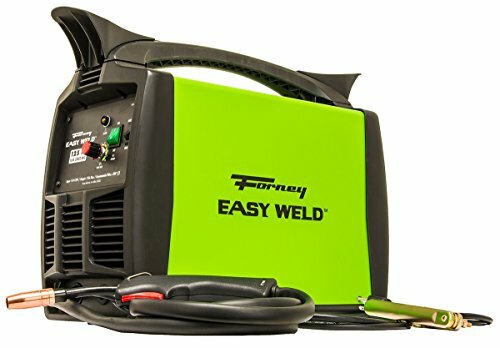 So in our reviews of Flux Core Welders, the Forney Easy Weld 299 was the winner of our tests, and the GoPlus MIG 130 was the best welder for the money. In all of the five welders we reviewed, four of the five were purely flux core welders, while the remaining one had gas shielding capability, and flux core. The latter also happened to be the most expensive. It was more than twice the price of 3 of the other 4, so it was not one of the top welders for the money. Be sure that before you choose a welder, make sure you determine your needs, find a machine that has the features that will meet those needs, and look at value for the money, not just price. We feel it was well worth the effort we put into this review. Our commitment to consumers is of high importance, and we want to help you make the best buying decision possible. You might do well to refer back to this review in case your search for a welder takes longer than you plan. We hope our reviews of flux core Welders have been – and will be – helpful to you. Multi-Process Welders: Which To Choose? 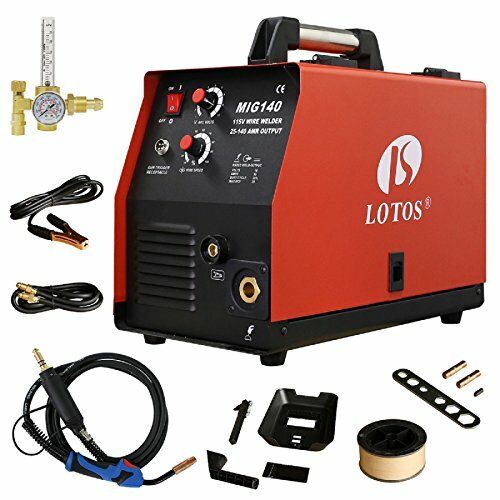 Can one get a proper Plasma Cutter for under $500? 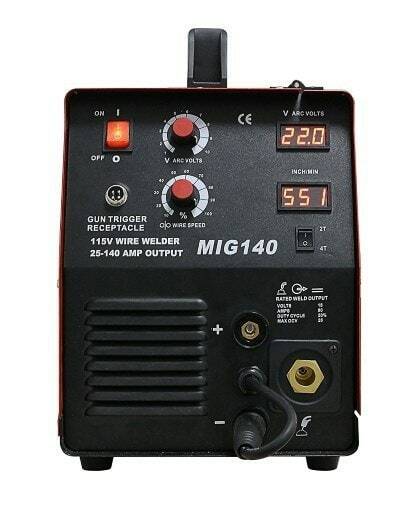 110v welders: which are worth considering?